The city of Raleigh is named for Sir Walter Raleigh, explorer and noblemen who funded the first expeditions to the coast of modern-day North Carolina. Image courtesy of the North Carolina Office of Archives and History, Raleigh, NC. The 1792 design plans for the city of Raleigh. Image courtesy of the North Carolina Office of Archives and History, Raleigh, NC. The Joel Lane House, home of a wealthy landowner who settled in the Raleigh area in the 1760s and sold 1,000 acres for the site of the capital city. Image courtesy of the North Carolina Office of Archives and History, Raleigh, NC. The State House in Raleigh, circa 1940. Image courtesy of the North Carolina Office of Archives and History, Raleigh, NC. Fayetteville Street in downtown Raleigh, 1909. Image courtesy of the North Carolina Collection, University of North Carolina at Chapel Hill Libraries. By the late 1780s, North Carolina’s General Assembly recognized a need for a permanent location to conduct state government. Prior to this time, the state’s seat of government had been hosted by several existing cities. Rather than select one of these communities, the legislature decided to build a centrally located city. Eight commissioners were appointed to choose the capital’s location. On March 30, 1792, the commissioners purchased 1,000 acres from Wake County landowner Joel Lane, and a city plan was quickly developed. 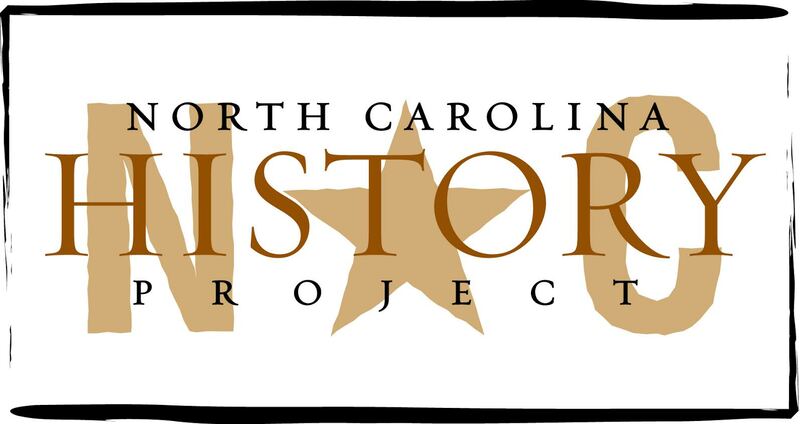 On December 31, 1792, the North Carolina General Assembly officially approved the purchase and the site plan. The city was named “Raleigh” in honor of the sixteenth-century English explorer and nobleman Sir Walter Raleigh. The city of Raleigh grew slowly. In 1794, the first State House was opened. It provided not only a location for governmental affairs but also a center for community activities. Over time, an increasing number of inns, taverns, dry-goods stores, coffin houses and brickyards supported the growing capital city. Until the Civil War, these businesses catered mostly to retail customers, providing services and basic needs. Fayetteville Street quickly became Raleigh’s commercial core as storefronts replaced residences along the blocks south of the State Capitol. In addition to downtown commerce, a handful of mills and new ventures, such as the Raleigh & Gaston Railroad of 1840, comprised the composition of antebellum Raleigh. North Carolina legislators voted to secede from the Union on May 20, 1861, the tenth of eleven states to do so. Very quickly, North Carolina–and Raleigh–prepared for war. Camp Ellis, the first training camp established in the state, was located at the state fairgrounds now east of town. Within a few weeks, more than five thousand North Carolinians arrived in Raleigh to train for war. Raleigh was spared from the decimating destruction that other southern capitals suffered. Four days after Confederate General Robert E. Lee surrendered at Appomattox, Virginia, on April 19, 1865, Union General William T. Sherman and more than 80,000 soldiers marched into Raleigh. To avoid the devastation experienced earlier in Atlanta, Georgia and Columbia, South Carolina, Governor Zebulon Vance and Mayor William H. Harrison formally surrendered. Although food supplies and other resources were raided, the city remained intact. Starting in the 1870s, Raleigh experienced slow yet steady economic growth. Although an effort was made to establish a manufacturing base, the city did not develop into a manufacturing center like other North Carolina communities. Retail, however, flourished and a profusion of family-owned businesses dominated the downtown district. Raleigh also experienced a wave of publishing enterprises as newspapers, printers and bookbinders became an important means of communication and advertising. In the early twentieth century, Raleigh evolved into the retail center for eastern North Carolina. People flocked to Fayetteville Street for shopping, entertainment, and parades. Whether grand opera, vaudeville, or motion pictures, Raleigh’s theaters and public performance venues offered something for all ages. Meanwhile, East Hargett Street thrived as the African American retail and social hub of Raleigh. Beginning in the mid-nineteenth century, higher education in Raleigh contributed greatly to North Carolina’s culture and economy. The establishment of women’s colleges such as St. Mary’s School (1842), Peace College (1857) and Meredith College (1891), and historically black colleges like Shaw University (1865) and St. Augustine’s College (1867) solidified Raleigh’s reputation as the state’s educational and government center. In 1887, the establishment of present-day North Carolina State University as a land-grant institution further enhanced the city’s standing. Like all communities, Raleigh has been influenced by national events. During the world wars, Raleigh contributed to the war effort in many ways; not only did families give up their sons to war, they sacrificed money and time, buying war bonds and volunteering for the Red Cross. After World War II, however, Raleigh experienced a boom in housing. The first suburb in Raleigh was developed in 1949 near Cameron Village, the Southeast’s first shopping center. With the establishment of the Research Triangle Park between Raleigh and Durham, North Carolina, the city experienced further population growth in the 1960s, when new arrivals moved to take advantage of employment opportunities at the newly built high-tech companies. But possibly the greatest change of the 1950s and 1960s was the positive effects of the Civil Rights Movement. No other national event affected Raleigh more profoundly than the Civil Rights Movement. After suffering years of discrimination, black students and activists protested Jim Crow legislation by marching in the streets, sitting at whites-only restaurants—in short, performing public protests. Their action transformed Southern culture and ensured that national, state, and local laws would one day protect all citizens. Since the 1970s, Raleigh has experienced rapid suburban development—especially outside its northern limits–and continued to be a vibrant cultural center. In 1992, Raleigh celebrated its bicentennial, and in 1999, it started hosting the Carolina Hurricanes, a National Hockey League franchise. Today, approximately 320,000 people live within the city limits of Raleigh, making it North Carolina’s second largest city. Candy Lee Metz Beal, Raleigh: The First 200 Years (Raleigh, 1992); Linda Harris Edminsten and Linda Simmons-Henry, Culture Town: Life in Raleigh’s African American Communities (Raleigh, 1993); Jennifer A. Kulikowski and Kenneth E. Peters, Images of America: Historic Raleigh (Charleston, 2002); Elizabeth Reid Murray, Wake: Capital County of North Carolina, Vol.1 of Prehistory through Centennial (Raleigh, 1983); David Perkins, ed., The News and Observer’s Raleigh: A Living History of North Carolina’s Capital (Winston-Salem, 1994); R.B., Reeves III, ed., Raleigh 1792-1992: A Bicentennial Celebration of North Carolina’s Capital City (Raleigh, 1992); Steven Stolpen, Raleigh: A Pictorial History (Norfolk, 1977).